The UBC Vancouver Senate meets monthly to discuss and vote on academic matters pertaining to the university. What goes on in the Senate chambers can often feel very overwhelming or dull to the average student, and the dockets posted before every Senate meeting can be long and tedious to read. Here’s what to expect at the March 2019 Senate meeting. The Senate Curriculum and Admissions Committees are jointly recommending the creation of a new degree program entitled Bachelor of Pharmaceutical Sciences. The proposal suggests possibilities for graduates including “biotechnology and pharmaceutical industries; government affairs, relations and policy; regulatory affairs; industrial manufacturing; the personal care product and nutraceutical industries; health care and allied health care professions; and, transition to academic research.” The program, if approved by Senate, will enrol its first students for classes beginning in September 2020. Following a direction earlier in the academic year, the Senate Nominating Committee is returning to Senate with a proposal for the composition and terms of reference of a standing committee on research. The committee, as proposed, will have purview over “institutional policies and procedures related to research; centres, institutes and other academic or administrative units with research-focused mandates; research aspects of university-level strategic planning; and the research environment, infrastructure, funding and other issues which, in the opinion of the committee, have an impact on research at the University." The committee, once approved, is to be composed of eleven senators, including two students, and will be constituted effective July 1 of this year. Following a nearly year-long process, UBC has completed the Ministry of Advanced Education, Skills and Training’s mandate to undergo the Quality Assurance Process Audit (QAPA) process. The report makes suggestions that UBC ought to institute, university-wide, “a set of principles for quality assurance … to guide the quality assurance process,” but generally finds that UBC has “demonstrated record of strong commitment to quality assurance and quality enhancement over a long period of time.” Senate will be approving the institutional response to the aforementioned report. 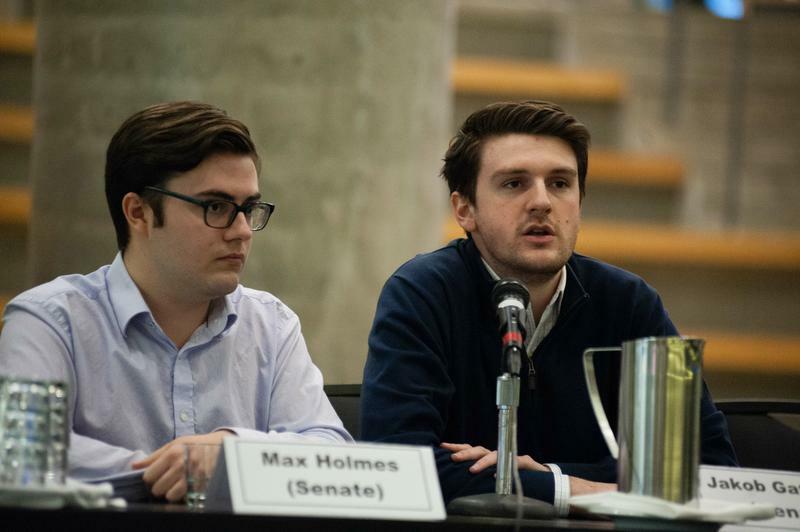 Jakob Gattinger is a fifth-year applied science student, and a student member and vice-chair of the UBC Vancouver Senate, as well as the chair of its Agenda Committee.